Been using a pair of welders gauntlet gloves but find the fingers abit to bulky. Looking around at various pairs but open to some good advice from the wider community on a decent all around pair of gloves. As with all such discussions... it depends! Duty, post, circuit, weather, class of car, size of hands all play a part. 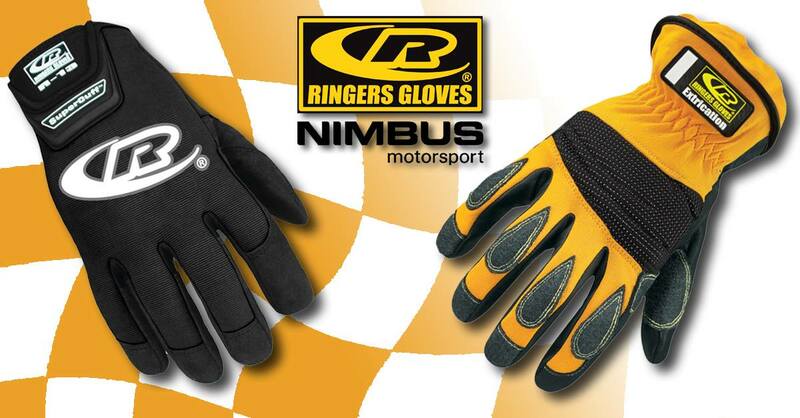 You will often find people wearing Ringers or Mechanix basic gloves (Authentics or Originals respectively). You'll also find people wearing £3 rigger gloves, very fine firefighting gloves from Southcombe Brothers (or related companies), gardening gloves, welding gloves/gauntlets or oil platform gloves, or Sealskinz waterproof gloves. If you're going to be doing a lot of flagging, then the lightweight ones like the Ringers are perfect - they'll keep the cold (or the sun) off your hands and they're dextrous enough in most cases that you don't necessarily have to take them off to write notes/reports. If you're intending to do a lot more incident marshalling then you may need a more robust pair as you'll potentially be digging through gravel and dealing with very hot or sharp broken bits. Even then, the choice is bewildering and the prices can vary enormously. Rescue - I use Ringers extrication, but also have a pair of Mechanix for finer detail. Flagging. Don't bother. Skin is waterproof and grippy. If it's cold I just have an ordinary pair with grippy palms, but again, very rarely used. Was with someone this weekend who was quite badly burned picking up a hot exhaust from circuit. They were wearing "mechanix" style gloves which basically melted. Not good for them and I hope the burns heal quickly. But all marshals should take note - NEVER pick up anything that could be potentially very hot (exhausts, brake disks etc), even if you are wearing welders type gauntlets, they hold their heat for an amazingly long time. Kick it or be inventive with broom handles or shovels! That reminds me of an incident years ago at a particularly well-marshalled meeting. Marshal runs out to silencer in the middle of the track and as he got to about 6 paces away everyone on post shouted 'Kick it!!!' much to the amusement of the spectators. We had two Crows spectating the other day, Nina said they were Pete and Terry, but I thought it was actually Pete and Susan...…. Most varieties of their offerings are available from Screwfix. I use Mechanic style gloves which have leather palms BUT am aware of the limitations so exhausts are kicked or picked up and thrown to avoid heat. I was in the process of opening a Mini Bonnet when the upper radiator hose popped spraying my hands in boiling water, I had just enough time to drop the bonnet and get the gloves off before the water soaked through. From my personal experience, Ringers Mechanics let me down. I was moving something (during a rescue training) to assist, and the edge sliced through the gloves and first layer of skin on my fingers without me feeling it. Could have been a LOT worse. I stick to Extrication now - and touch wood they've saved my hands a couple of times. I prefer a close fitting glove and accept the risk of these being difficult to remove in times of need. I rely on my experience to not touch hot things (picked up a brake disc quadrant and associated brake pad, but dropped them as I saw the pad weld itself to the disc) and luck that I don't get hot liquids on me. For flagging, its bare hands, unless very cold and wet, I have a pair of orange hunting gloves from the US I expect to try in North Wales this weekend. Mechanix have their place, very good for basic protection if you're dealing with something fiddly, but they won't stop something piercing them, especially the back so use only with caution. Not the thing for general use on the bank. Although they do work well for flagging on a cold day.